A large amount of plastics is disposed to the landfills and oceans including large number of PET plastics wastes. ZEROPET is an environmental friendly technology developed by our company RECYCLINNOVA to convert post-consumer PET plastic wastes to value-added chemicals. It is an efficient conversion process to produce first grade raw materials. The technology and the products have a global market and can be implemented in different sectors such as waste collection and management, plastic recycling, PET resin production, chemicals, and textiles. ZEROPET is highly profitable, and limits the use of non-renewable resources for the production of chemicals and enables infinite recycling of plastics without the production of any waste. ZEROPET is a green technology with positive environmental impact. This start-up is one of the Top-15 teams and made it to our Grande Finale. 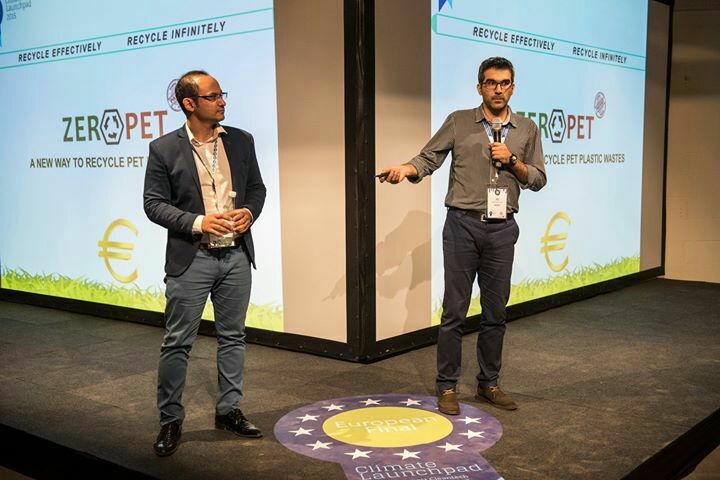 Curious about the pitch during the ClimateLaunchpad European Final 2015? You can watch it here.